Caricature artists are always a big hit for any event. 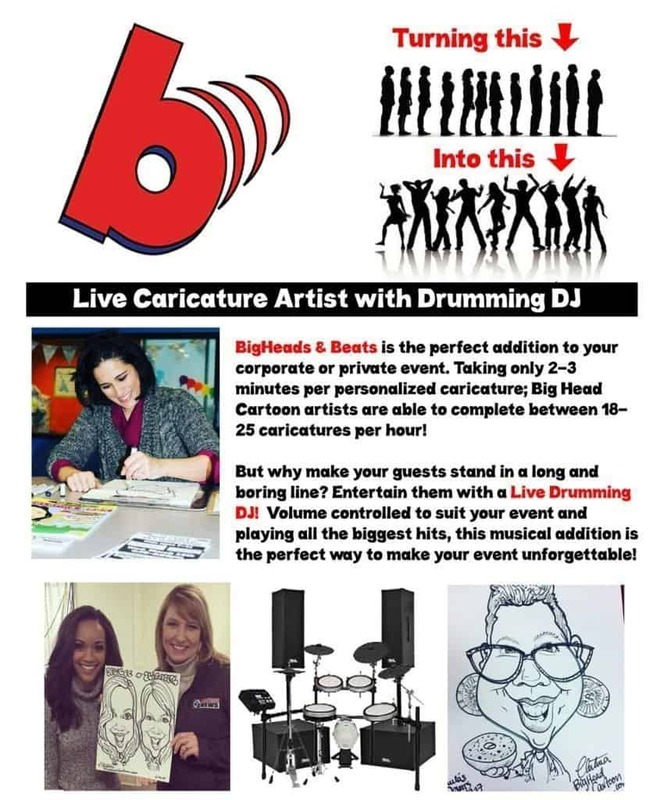 We offer regular caricature services, or you can spice things up with our live caricature artist and drumming DJ. Our artist can usually finish within 2 or 3 minutes per person for black and white. Color pieces can take up to 5 minutes.